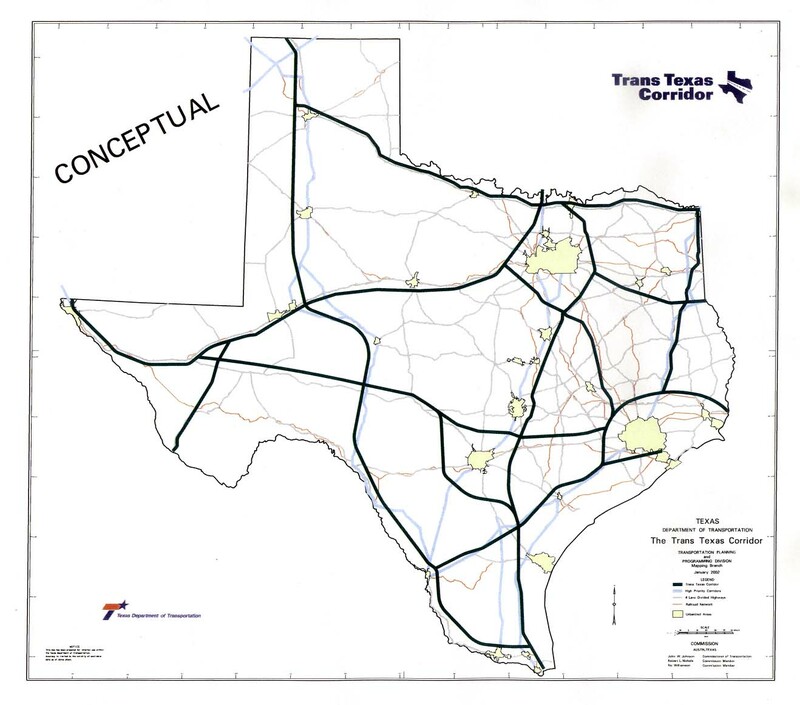 The Trans-Texas Corridor project, as envisioned by Republican Gov. Rick Perry in 2002, would be a 4,000-mile transportation network costing an awesome $175 billion over 50 years, financed mostly if not entirely with private money. The builders would then charge motorists tolls. But these would not be mere highways. Proving anew that everything’s big in Texas, they would be megahighways â€” corridors up to a quarter-mile across, consisting of as many as six lanes for cars and four for trucks, plus railroad tracks, oil and gas pipelines, water and other utility lines, even broadband transmission cables. Projects like this are happening too often, as cities and developers incestuously bargain for more. Sprawling cities pay their price in so many ways, people are only fooling themselves when they promote these gargantuan projects.